With brilliant blue waters, some of the most famous diving spots in the world and top-notch cuisine, it’s no surprise that Okinawa is often referred to as the Japanese Hawaii. While many travelers are familiar with larger mainland cities like Tokyo and Kyoto, these eight tips will help you make the most of your time in this often overlooked island paradise. The hundreds of islands that today make up Okinawa Prefecture — with Okinawa island being the largest of them — didn’t come under Japanese rule until the 19th century. Prior to that, the Ryukyu Kingdom was an independent dynasty that played a crucial role in building East Asian shipping networks. It wasn’t until the 16th century that the Ryukyus were forced to pick sides. After refusing the request of a Japanese ruler to aid in his military campaign against China, the Japanese invaded the Ryukyu Kingdom, eventually annexing it in the late-1800s. 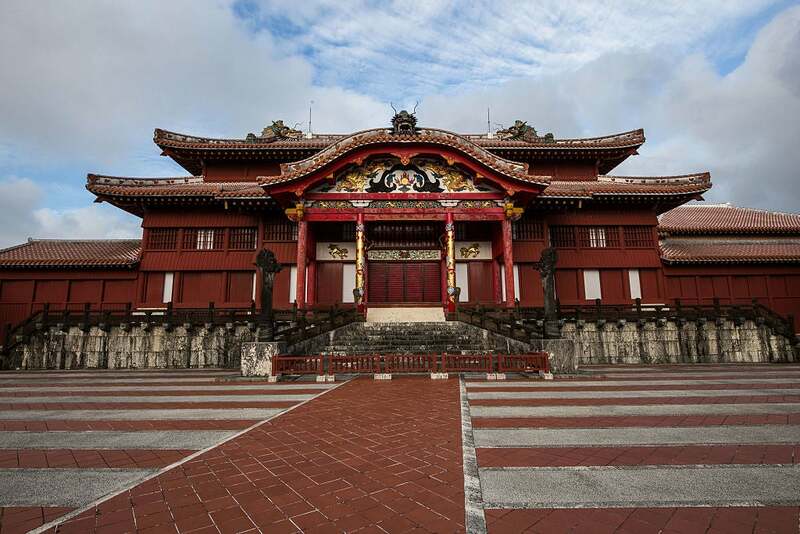 There are still monuments to the old Ryukyu Dynasty all over the island, including Shuri Castle, a UNESCO World Heritage site just 15 minutes from downtown Naha, pictured below. Image by John S Lander/Getty Images. 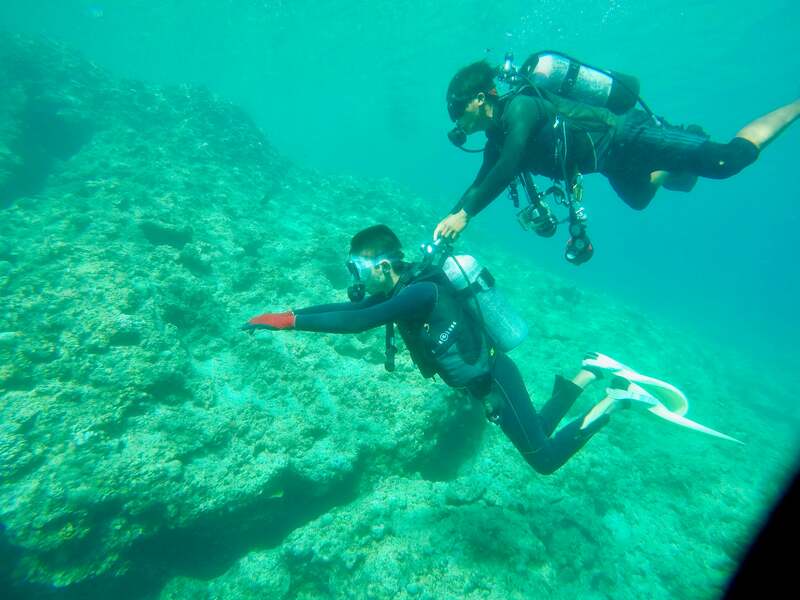 Whether you’re a PADI-certified pro or feel more comfortable on solid ground, Okinawa is one of the few places where anyone can scuba dive without prior training. The Blue Cave at Cape Maeda is one of the most popular spots on the island, and because it’s only seven meters (about 21 feet) deep, beginners can safely dive here with the help of a guide. Image by Hoiseung Jung/EyeEm/Getty Images. My guide did a great job controlling my buoyancy and direction so all I had to do was remember to breathe — and watch the beautiful fish swimming around me, of course. If you’re certified, you’ll be given more freedom to move on your own, but I felt perfectly safe and comfortable thanks to his help. This is how you scuba if you don’t know how to scuba. Image by the author. While a lot of countries have mixed feelings about the US right about now, the sentiment in Okinawa runs much deeper. Bad geographic luck put the city right in the path of the invading allied forces during World War II, and the three-month-long Battle of Okinawa left more than a third of the civilian population dead. Fast-forward to 2017, and Okinawa is still home to tens of thousands of American soldiers, sailors, Marines and airmen. While they play an important role in maintaining our defenses in the Asia-Pacific theater, occasional incidents of US soldiers physically and sexually assaulting locals has only further strained the tension. Despite all of this, the overwhelming majority of locals I met there were genuinely excited that a young American had picked their hometown for his vacation — they were proud of the natural beauty of the island and excited to show it off. 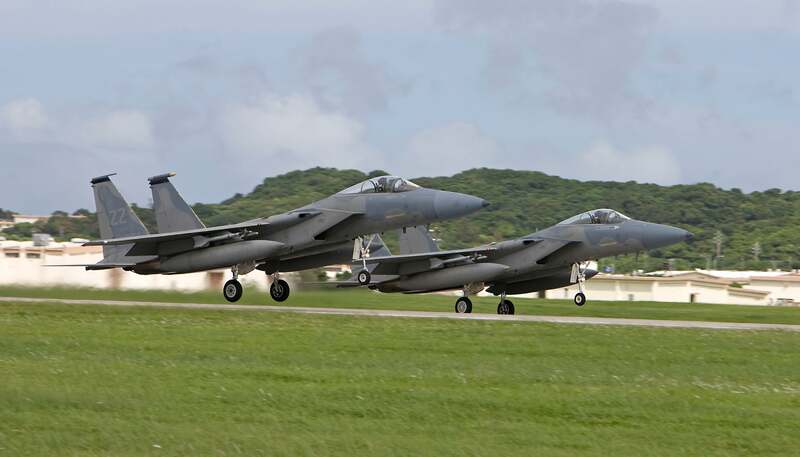 Two F-15’s take off from Kadena Air Base in Okinawa. Image by HIGH-G Productions/Stocktrek Images/Getty Images. 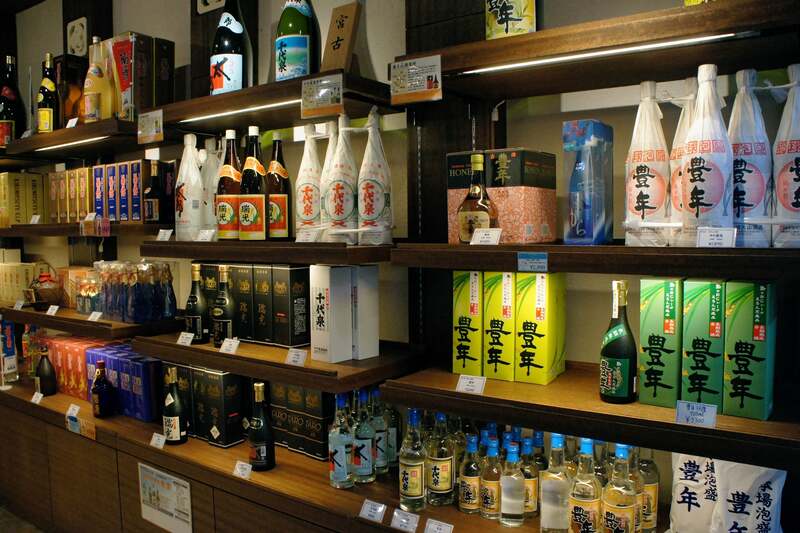 This rice liquor is a unique Okinawan creation, made from a distillation process that makes it closer to soju than to sake. While it’s available all over the island, be careful how much you drink! It tastes deceptively weak, almost watered down, despite most brands containing 30 percent or more alcohol by volume. Most people come to Japan expecting to eat sushi for every meal, but pork reigns supreme in Okinawa. Pigs were introduced to the island in the 15th and 16th centuries by the Chinese, and now Okinawans eat every part of the pig except the squeal. That means you’ll have the chance to slurp down some soba noodles in pork broth, or let rafute — pork cubes simmered in brown sugar, soy sauce, and maybe a bit of awamori — dissolve on your tongue. 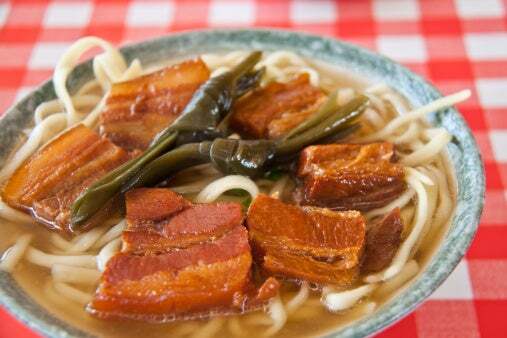 Okinawa soba with stewed pork belly, every bit as delicious as it looks. Image by Melissa Tse/Getty Images. This is probably the part where you’re expecting recommendations for the best food on the island, but I just can’t do that. Don’t worry: I ate well while I was there, but even if I wanted to, I couldn’t tell you where the best meals I had were. That’s because they weren’t from restaurants I looked up on Google and sought out; they were from the hole-in-the-wall places lining the streets and alleys of Naha, the tiny stalls that can barely seat four people at a time. The authentic local joints — the ones without an English menu, where you put your blind faith in the owner/waiter/chef, three roles usually played by the same person, to satisfy your hunger. I don’t know what I ate or where I ate it, but these were still some of the most memorable meals of the entire trip. Okinawa looks deceptively tiny on a map, but given how long and narrow it is, it can take several hours to get from one end of the island to the other. The main city of Naha, where the airport is located, has a comprehensive public-transit system, but once you leave the city, you’re on your own. Many hotels — as well as the best beaches, dive shops and other activities — are located on the northern half of the island. 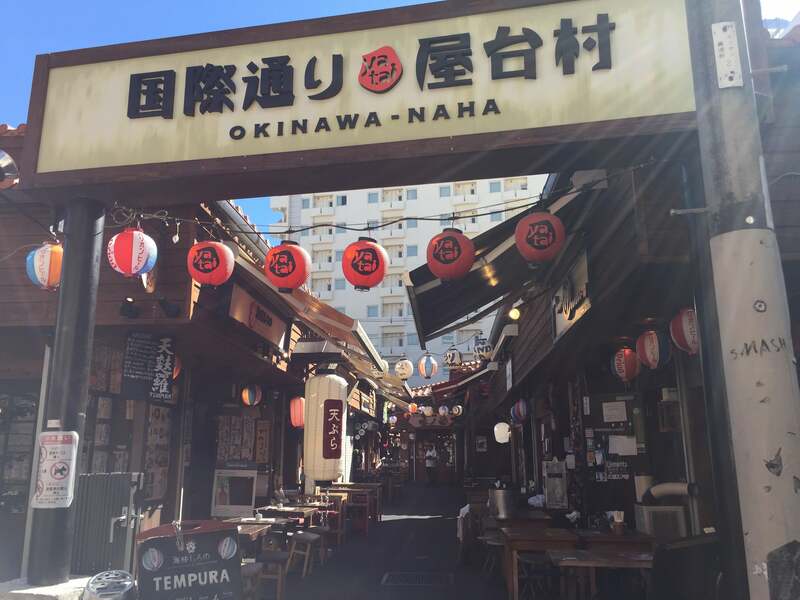 Cab fares from Naha to the north can quickly add up to several hundred dollars, so save yourself the headache and book a rental car before you leave. While much of the island boasts modern infrastructure, including an international airport and monorail, the cabs and their drivers are a relic of days gone by. The antique cars and antique drivers give Okinawa a lovely “stuck in time” feeling. While I would have rather saved money by renting a car, I truly enjoyed the unique conversations I had with my cab drivers. What are some of your favorite things to do in Okinawa, Japan? Tell us about them, below.